I have a dedicated fondness for high intensity situations. I love romance because it’s thrilling, I love moving because it’s apprehensive and impulsive, I love baking because it’s ambitious and demanding, and I love traveling because it’s adventurous and unknown. I love Halloween because of the unexpected and bizarre, because it is treacherous and risky, and because at no other time and in no other situation would any of the things that occur on, and around Halloween be even remotely realistic or acceptable… precisely, the reason I find Haunted Houses so welcoming. This is the Haunted House. 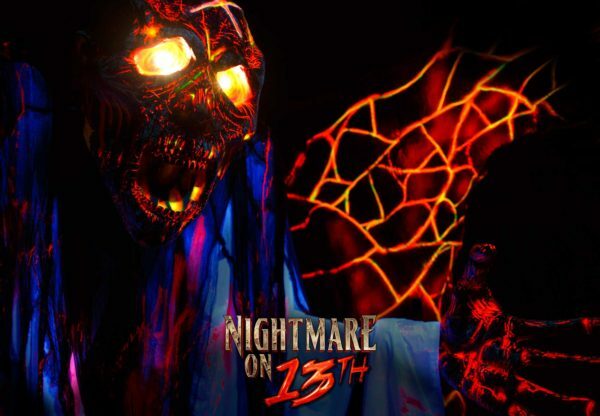 Nightmare on 13th features 3 ticket options. Purchase your ticket online, and save! Concessions are found at the end of the show for a fair price in an eerily lighted room with wandering zombies. Children 8 and under are free, but must be accompanied by an adult. 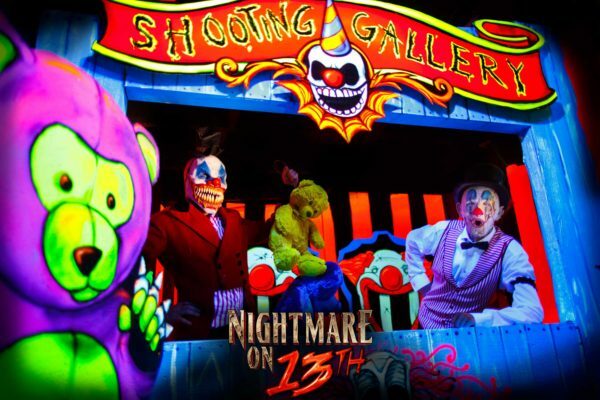 This is the Haunted House that will affront you with a deluge of stimulating and arrestingly haunting images and villains that will scar your mind and your senses. This is the Haunted House that will intoxicate and cajole you, that will envelop you and spit you out, that will frighten and amuse you. For some, it might even make you cry. Nightmare on 13th has been operating for 28 years. USA Today ranked Nightmare as one of the top 13 Haunted Houses in the entire United States. 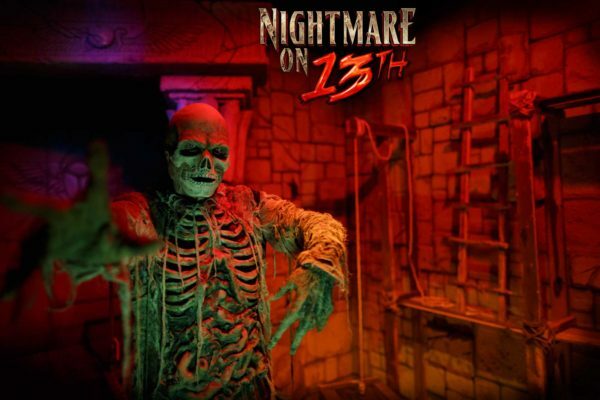 Haunted Attraction Magazine named Nightmare on 13th one of the industry’s most successful haunted attractions. The Travel Channel named it one of America’s scariest attractions. Experts agree, this place is terrifying. Buzzfeed, Fangoria, Yahoo!, and USA Today have rated this attraction the best Haunted House in America. Each year the 36,000 square foot warehouse is updated with scenes and haunts from the year’s most chilling movies and cultural influences. That means this year will include IT. 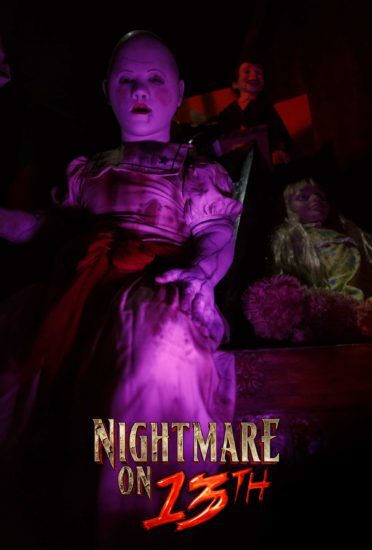 Nightmare on 13th pours upwards of $75,000 dollars in upgrades, revamps, special effects and costumes every year with real life actors combing the halls. 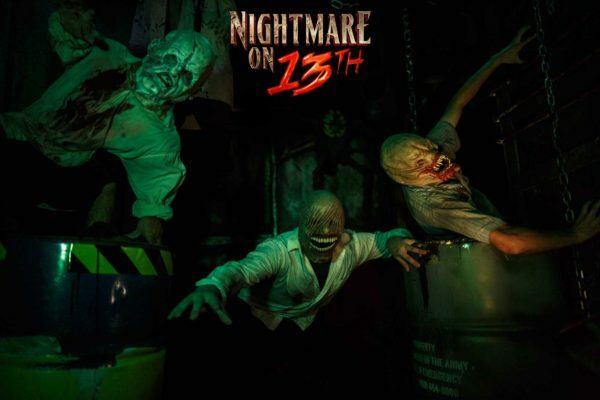 Be prepared for over 40,000 square feet, and a torturous hour of freaky, scary, inhumane, disturbing and disconcerting attractions including a greeting by Freddy Kruger and the Exorcist, having to squeeze your way through fresh intestines, being pushed off a ledge by a collapsing brick wall, navigating a body bag maze, an encounter with the Saw Puppet, Vampirista’s claiming that the Master would love another Golden Bride, cold and damp bloody sheets, and maggots. ► For Kids: I probably wouldn’t. 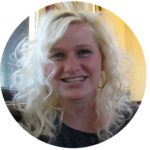 Do you like Haunted Houses, or do you run away screaming with a #wetdiaper (there I go again)? Where is your favorite Haunted House? We want to hear all about it in the comments. 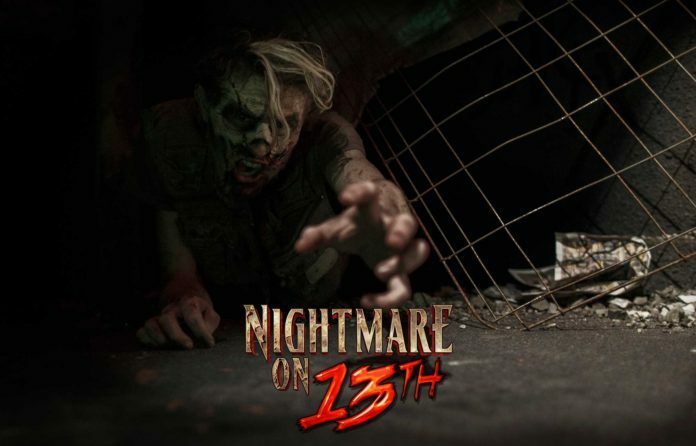 ► Nap-Time Version: Nightmare on 13th is the #1 rated Haunted House Attraction in all of America. Check out more of our fun and festive Halloween activities to do in Utah, and all around the country.